I am now certain that Kari hides in the park for hours on end waiting for me to run by. Also spotted on this evening's jog: Sidney. On a skateboard. Out of doors. By himself. Um, remember yesterday when you were six? The aircraft that Bev, Sid and I are seated on just touched down at SFO. Pro Tip: United's smoked gouda cheeseburger is VDG (Very Damn Good). How am I just finding out what a treasure trove the H&M girls section is? 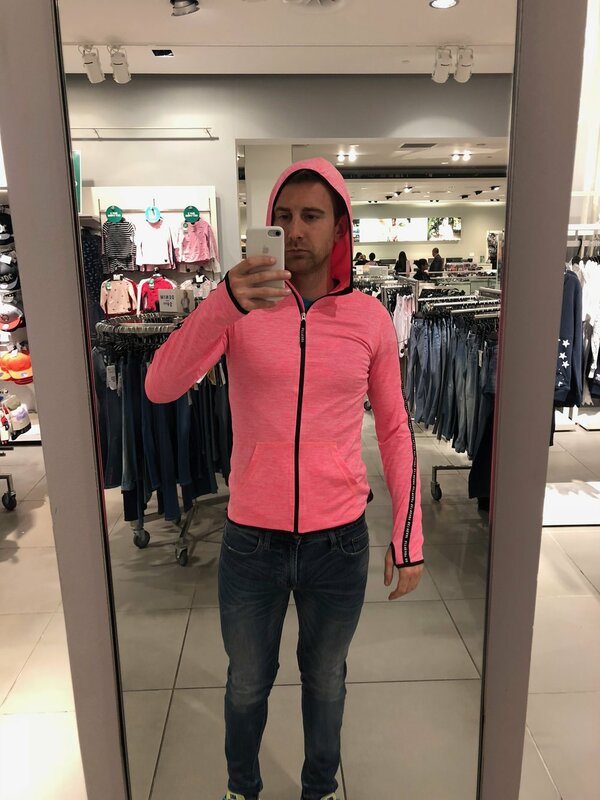 I took Sid and Rosie shopping after school last night and snagged the most adorable running hoodie (thumb holes included) for almost $0 (American). I also had my sights set on a sensible pair of unicorn pjs but they turned out to be a bit, um, snug, so I wound up getting them for someone else. For future reference (and birthgay gifts), my H&M size is 14-year-old girl. My first job out of college was as a marketing intern at a theater production company in Chicago. During my time there The Color Purple had become a huge hit on Broadway and Oprah, who'd starred in the movie version of Alice Walker's novel, decided to bring it to the Windy City. Because she staged the production in one of the theaters that was run by my company, I ended up with four tickets to opening night, so my parents took the train in from Michigan to join Kelly and I in an audience that included Oprah (and Stedman), R. Kelly and Roger Ebert. Needless to say, my mom fell in love with the show and it was, forever after, a special memory we shared. 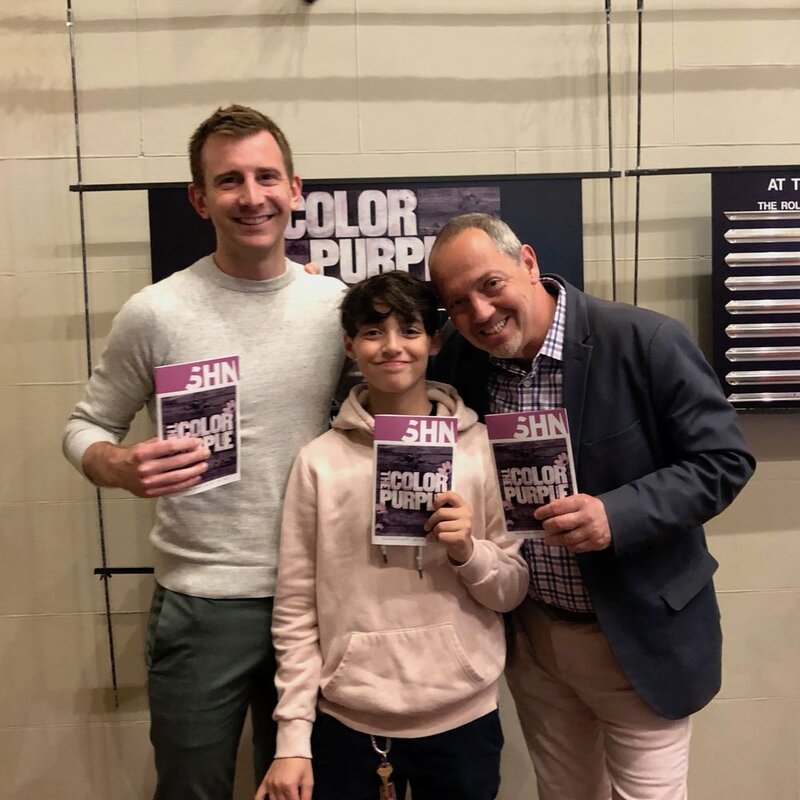 I like to think that my mom was there with us at the Orpheum Theatre last night when, during the first curtain call, an emotional Sidney turned to Bevan, pulled him into the tightest hug and said, "Thank you, dad." I dialed the stereo up to 68, pressed play on my phone and we got to it. I had had quite a day, nay, year, and I needed to get some things out. Bevan was off at a school board meeting but Sidney was home, stretched out on the sofa poking at some iDevice, the television set aglow in front of him. "Will you do a thing with me?" I asked. We started with "Baba O'Riley" by The Who, taking things slow at first, stiff and smiling and uncertain, choosing each move with far too much care, but by the time we reached the bridge any order we were holding onto was set adrift, the music passing through our bodies like a storm, and we danced. We danced in the living room and the dining room and the kitchen. We danced down the hallway and up the stairs. We danced through doorways and in front of windows. We danced to songs by Rex Orange County, Blink 182 and Calvin Harris. We danced by ourselves and together and with Ellie. We danced our heart rates rapid, jumping up and down, spinning sloppy circles and screaming the lyrics up at the ceiling, neither of us worrying about Jorge and Martín in the apartment below us, certain they'd understand. We danced hard and fast, setting caution to the wind and fire to our feet. We danced into madness and joy, through heartbreak and pain. We danced for our lives, for time gone by and for the adventures that lay ahead. Finally, as the last note of "Mr. Brightside" trickled through the speaker above our heads we collapsed onto the living room rug, legs trembling, toes raw, chests heaving, rills of sweat slashing down our faces, and for a good long while we stayed that way, soaking in the silence.